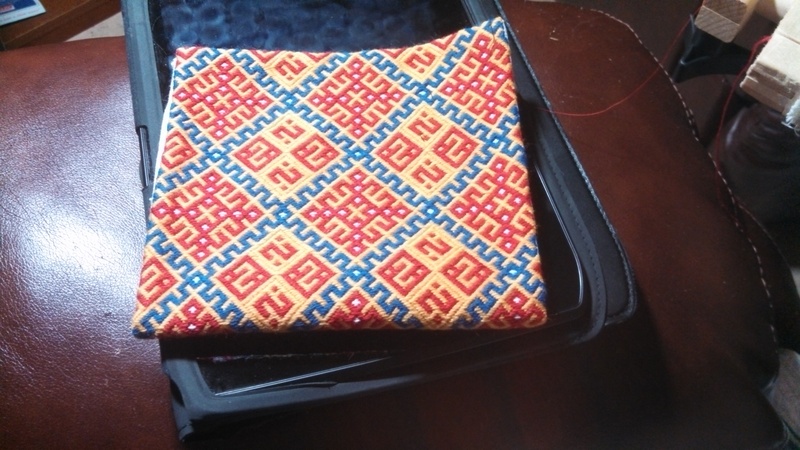 After working on the needlebooks a friend asked me if I would like to barter for a brickstitch pouch. She has inspired so many that I was determined to embark on a secret project. This is extremely hard, as sharing what project is being worked on and the tips and tricks that are learned during the process, is an important part of what I do. First I had to find a pattern. There are several great sites to go to. http://www.wymarc.com is a wonderful website that was a great help. Between that and searching images I finally came up with the design I wanted to start with. 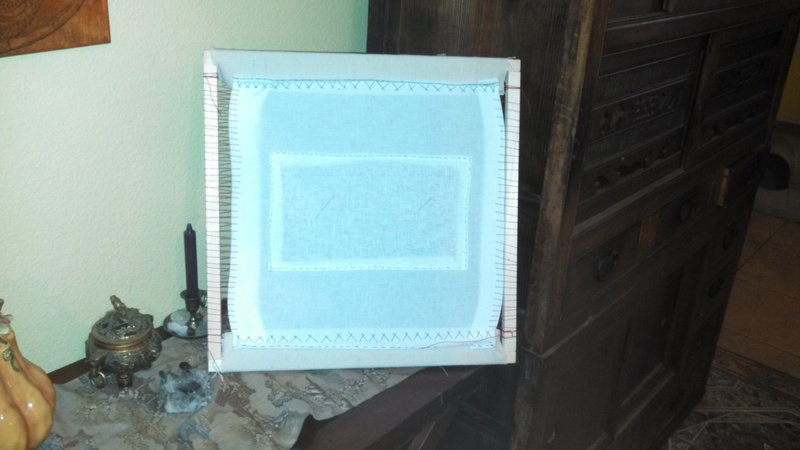 To set up the embroidery I needed a slat frame. I purchased basic stretcher bars and put them together. On the top and bottom I attached a stable strip of sturdy cotton. 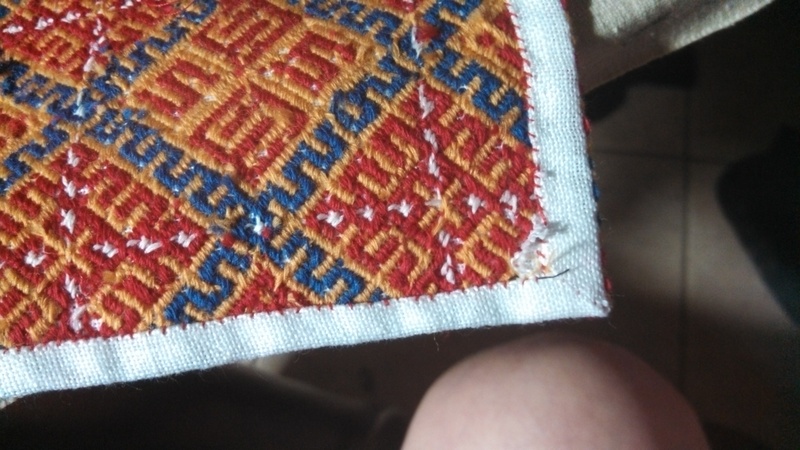 I then stretched base fabric (cotton) and attached to both the upper and lower bars by using a herringbone stitch. The next step is to whip stitch the side onto the frame. To keep this taut I tried to keep the insertions evenly spaced apart. 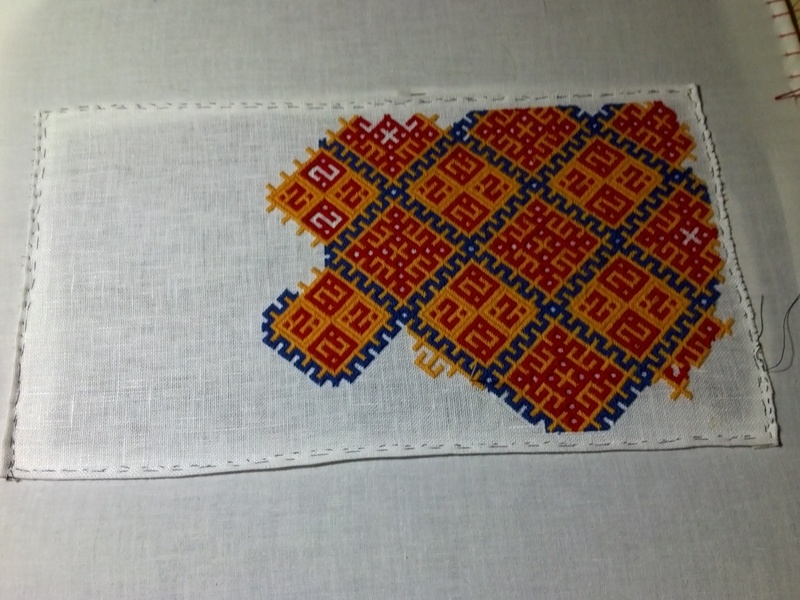 (approx 1′ apart) using a sturdy cotton thread. 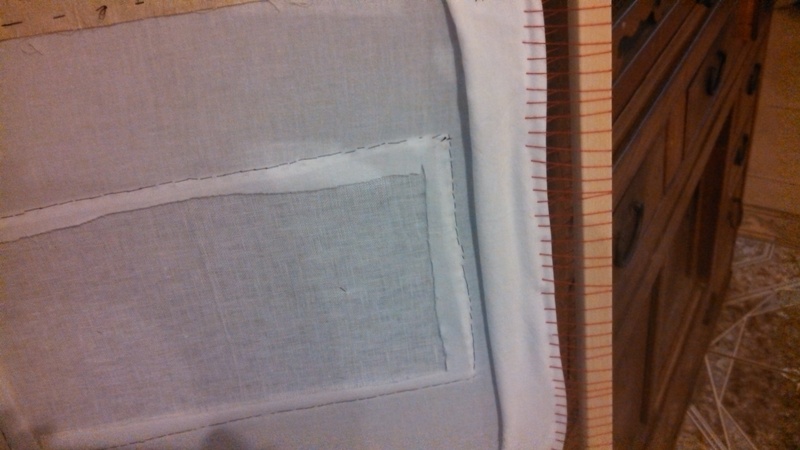 Once you have secured your base fabric place your working fabric , measured and cut, onto the base fabric. 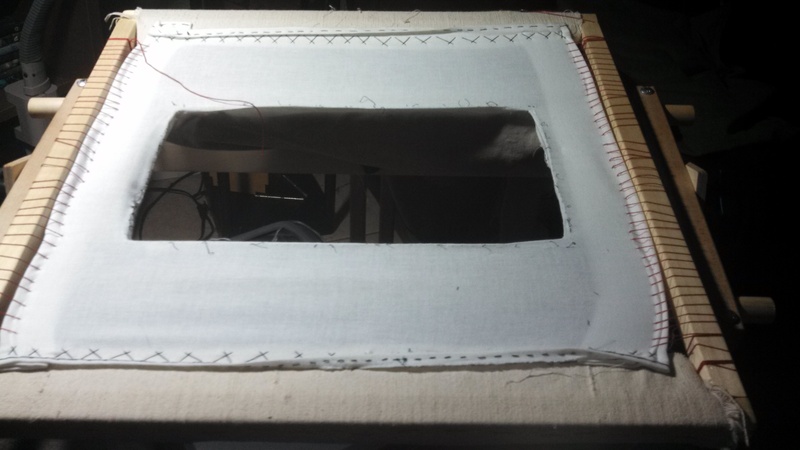 Pin in place then carefully cut out a window leaving about 1″ of base fabric on back. turn in excess base fabric and secure the working fabric ( in this case aida) onto the base with a herringbone stitch. You now are ready to start your embroidery. As I look back it would have been nice to have taken more pictures of dressing the slat frame. Needs to be put on the list of projects to do. 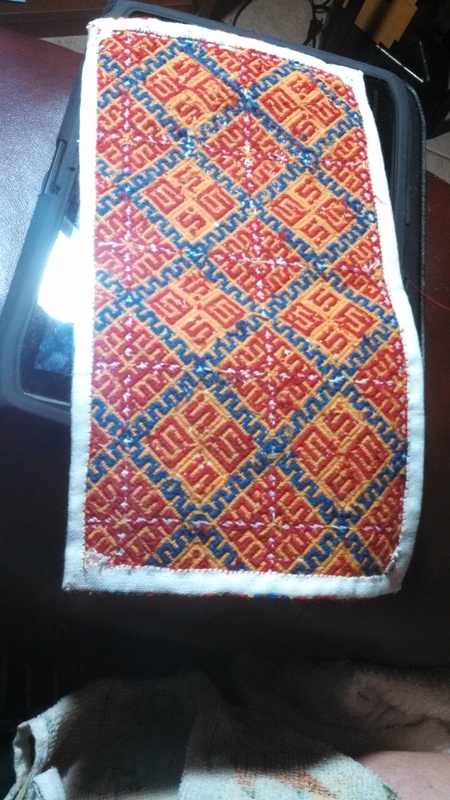 The hardest part is removing the base fabric from behind your working fabric. This is the way I chose to do this. Please feel free to comment with other ways to accomplish this. 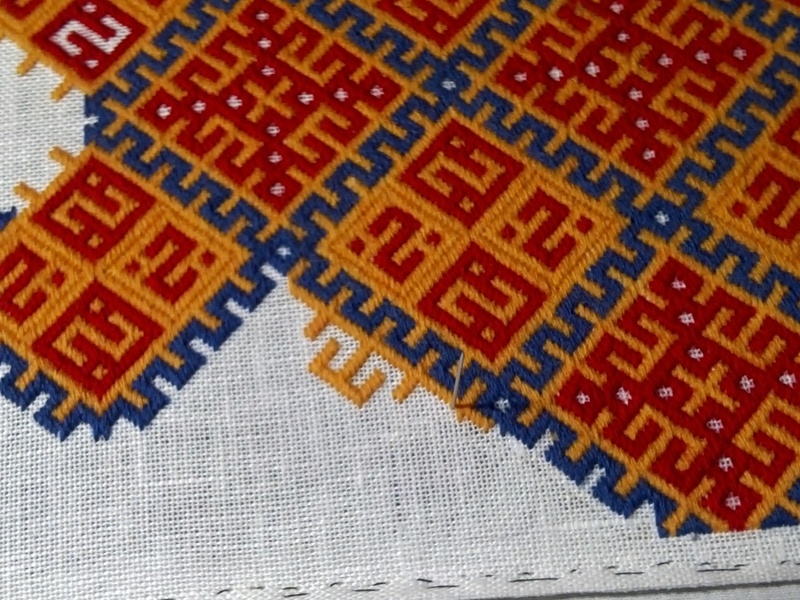 Once you have finished the embroidery completely now it is time to remove from the slat frame and finish edges. Now comes the fun part. 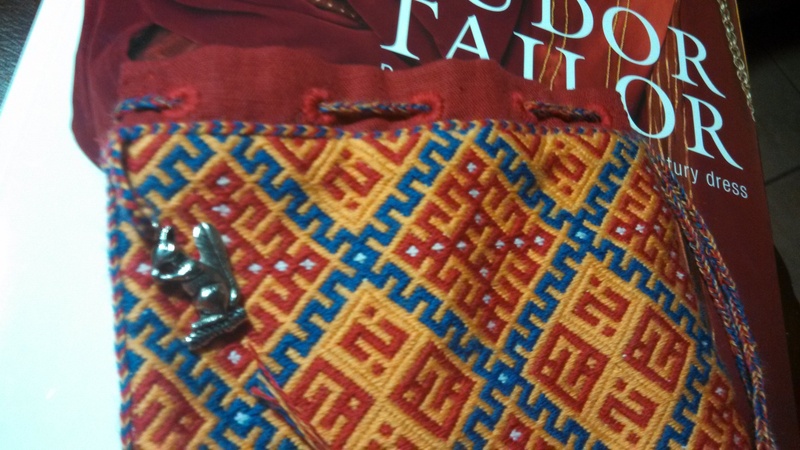 🙂 Putting the pouch together.. First I cut the Red linen to the size i needed and hand stitched it together leaving the top unfinished. 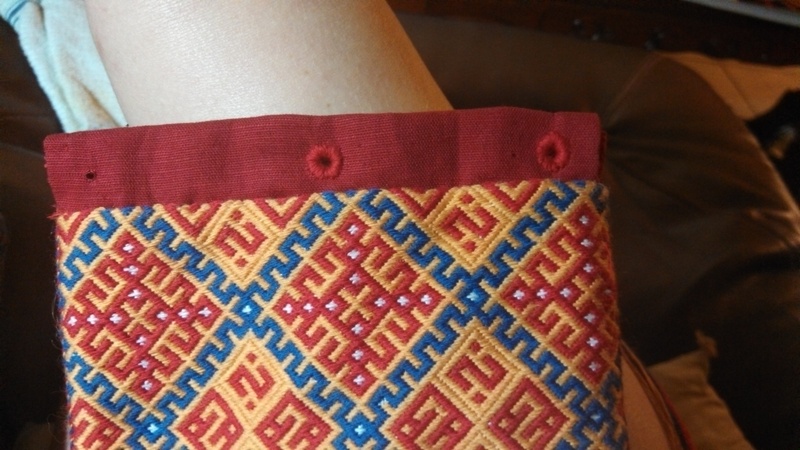 To close the sides and get a finished look I chose to use a embroidered braid on the edges. The inspiration for this was Anne Newman and extraordinarily talented woman. You can find her at Raicaire’s Embroidery & Needlework . I will warn you her site is addictive. 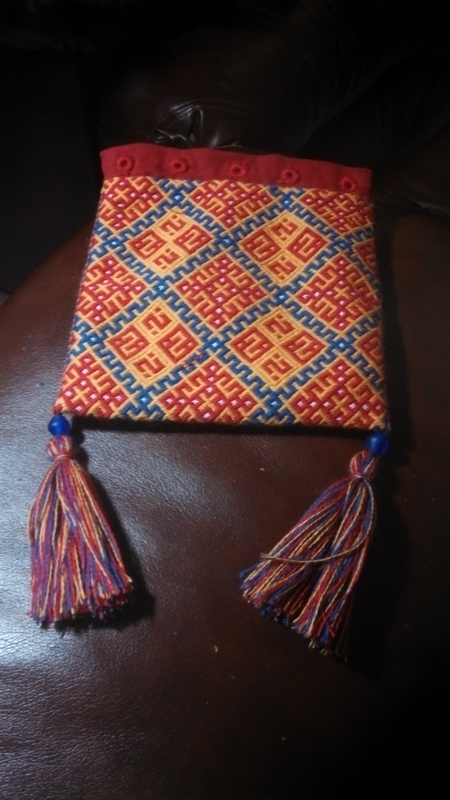 Once the sides were finished the linen liner was placed inside and a braid was again used to attach the two. 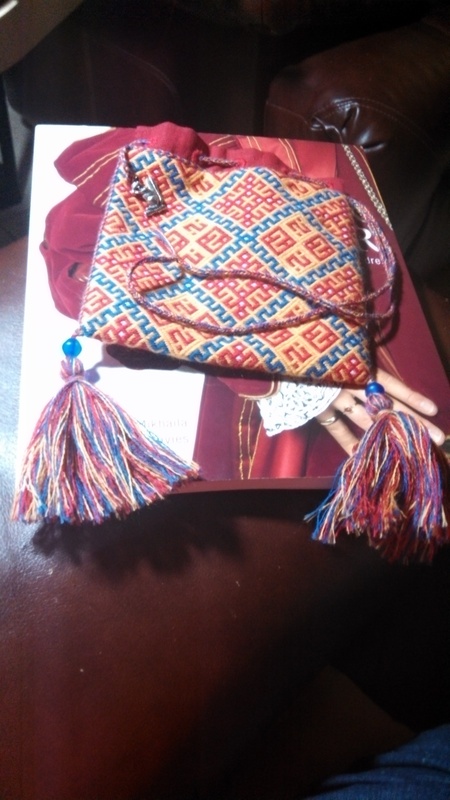 Next was adding the tassels and making the eyelets for the top. 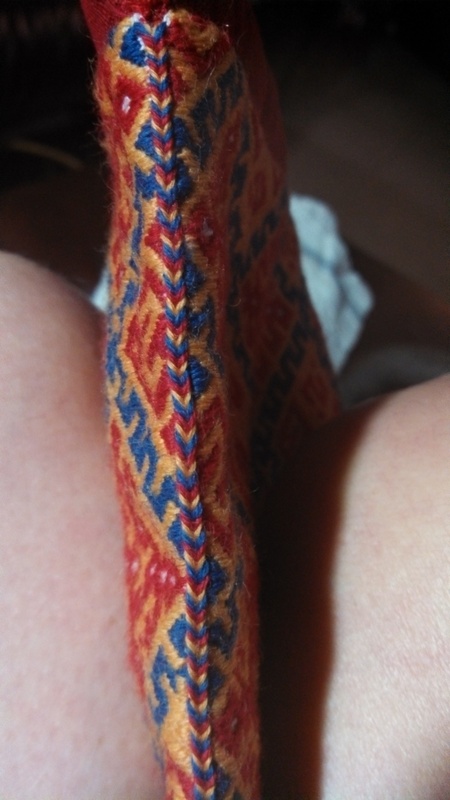 The tie was made with finger loop braid. and the final touch was adding a squirrel charm. It was finally finished and passed on to be used by a very special Laurel. 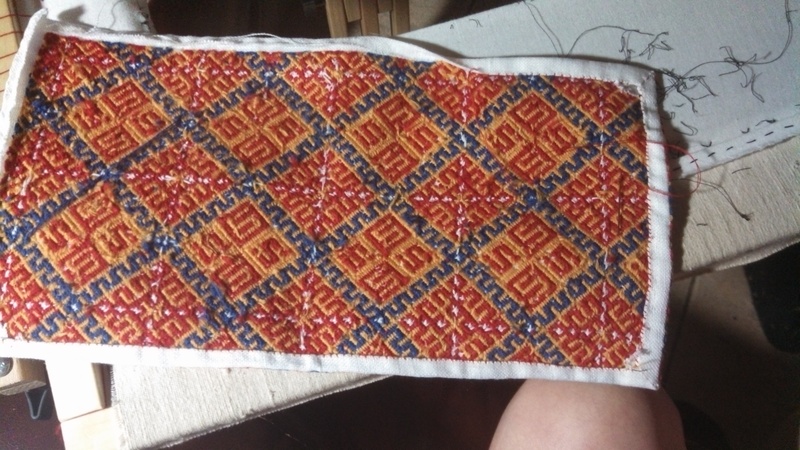 I hope this has inspired encouraged everyone to try this stitch.. Thank you!! You can do this too..